Micro C, a Savannah-based medical device startup led by a trio of Georgia Tech graduates, said it has raised an additional $700,000 in its early-seed funding round. The additional funds follow the $260,000 the company successfully raised in the round in 2016. 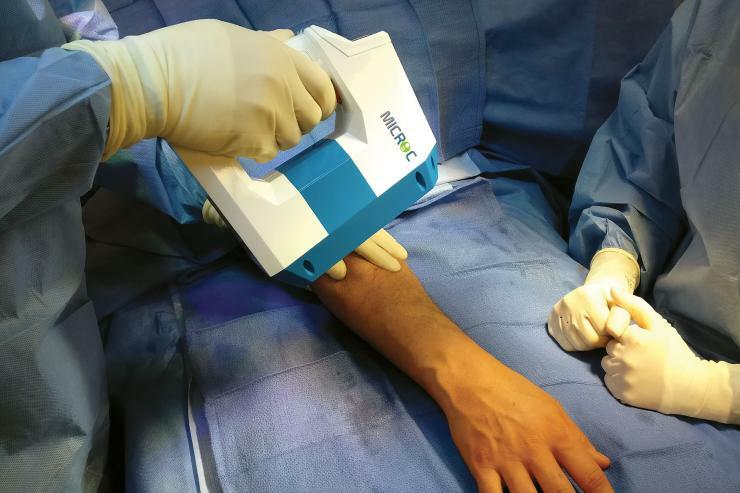 Micro C, one of the Advanced Technology Development Center’s ATDC Accelerate startup portfolio companies, has developed a comprehensive, hand-held X-ray and digital camera for surgeons and physicians who treat disorders of the extremities. All the funders in the round are Georgia-based and the company said the investors utilized Georgia's Angel Investor Tax Credit program. Micro C founder and Chief Medical Officer Dr. Greg Kolovich, Chief Executive Officer Evan Ruff, and Chief Operating Officer Kirby Sisk said they will leverage the additional funds to complete several planned initiatives in the second quarter. Among them: a prototype build, beta testing, submission to the Food and Drug Administration, and go-to-market launch activities including demonstrations at leading professional academies for orthopedic surgeons. Kolovich earned his electrical engineering degree from Georgia Tech, medical degree from Ohio State, and surgical training at Harvard. The company has received several key recognitions, including the Technology Association of Georgia’s TAG Most Innovative Company award and first place at the Geekend Pitch Contest in Savannah. “With seven patents filed, we believe that the intellectual property we created is not only winning us recognition but will also contribute to building the value of our product and our company significantly,” said Ruff, who earned his degree at Tech in computer engineering. Sisk, whose degree from Tech is in mechanical engineering, is responsible for production of the Micro C emitter, table, and accessories. “Combining a compact and complex device with software, consumables, and service support will demand skills and resources that we are rapidly bringing on board with our investors’ confidence and backing,” Sisk said. 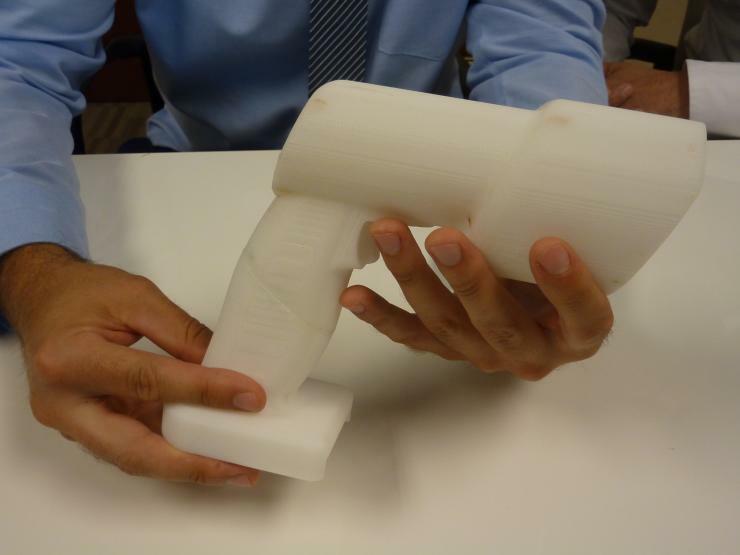 The management team at Micro C, a medical device startup based in Savannah, has developed a comprehensive, hand-held X-ray and digital camera for surgeons and physicians who treat disorders of the extremities. All three are Georgia Tech graduates. 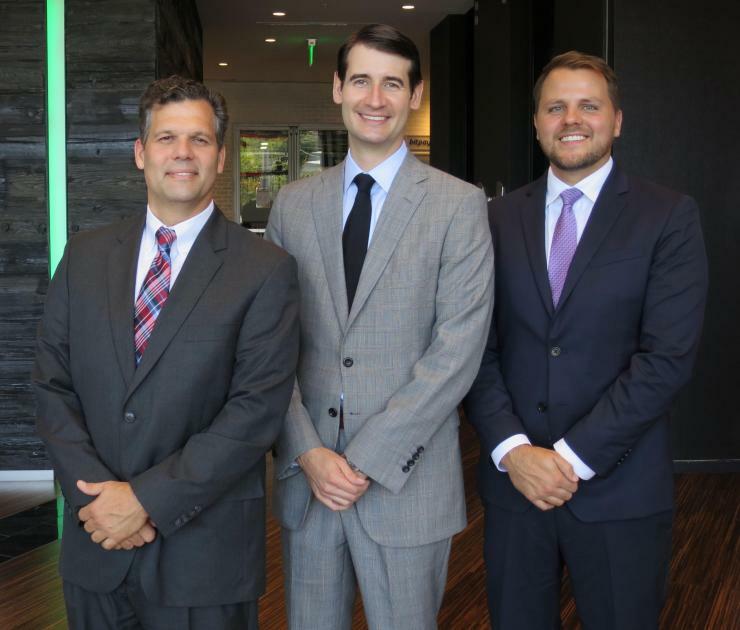 From left: Chief Operating Officer Kirby Sisk (BSME, MBA), Chief Executive Officer Evan Ruff (BSCmpE, MBA), and founder and Chief Medical Officer Dr. Greg Kolovich (BSEE, MPH). The Micro C device is a hand-held X-ray and digital camera designed for surgery of the extremities.